A large number of people have at least one of their third molars, commonly called the wisdom tooth, removed at some point in their life. Mostly all four taken out to prevent future dental problems. After the extraction of wisdom teeth, it is important to avoid some specific foods like crunchy, spicy, or difficult-to-chew foods. Because such foods can cause increased pain or prevent healing. Recovering from wisdom tooth surgery may take anywhere from a few days to a couple weeks. Normal healthy person begin to feel better after about three days. The affects of surgery are quit individual but it is important for all to take it easy and let your mouth heal at its own pace after wisdom teeth extractions. Diet is the most important in this regard. You should plan your diet in the following weeks around healthy, soft foods that won’t strain your mouth post-surgery. Some “experts ” say that one should take milkshakes and/or ice cream only after teeth extraction but actually taking these diets for long period of time could make excess sugar unpleasant and be less likely to eat them in the future. Besides knowing what to eat, its equally important to know what to avoid during healing weeks. It is highly recommended to avoid any thick grains or foods that can get caught in the surgical sites. Avoid acidic foods that can irritate tissue and cause pain in the healing surgical sites. Most people may not know the fact that using straw s a big no after such extraction. Normally people find it good to use straw after wisdom teeth extraction, but in actual the suction can remove clots that aid in healing and lead to dry sockets, a painful side effect that sometimes occurs after surgery. After one week, if you are feeling perfect then you can go for any crunchy, chewy, or spicy foods. If you have extracted your wisdom teeth recently and having no idea what you can take in other than ice cream and milkshakes, then continue reading. Till end, you will have plenty of ideas. Hmmm yummy, these are easy to eat and even a tempting food in normal days. You can alternately topped with gravy, sour cream, or butter to have more variety and to not getting bored. It is said to be one of the easiest foods to eat after wisdom teeth extraction. You can have sweet potatoes also. Smoothies are another good option. You can make them with your favorite fruits and vegetables or even you can mix both. You can add kind of cream to make it rich. Applesauce is a great soft food to eat after wisdom teeth removal. Its smooth texture gives you taste. It contains a lot of vitamin C and dietary fiber, which are both part of a healthy diet. By eating this nutrient rich snack, your healing process wouldn’t disturb as to eat this food you need very less jaw movement. 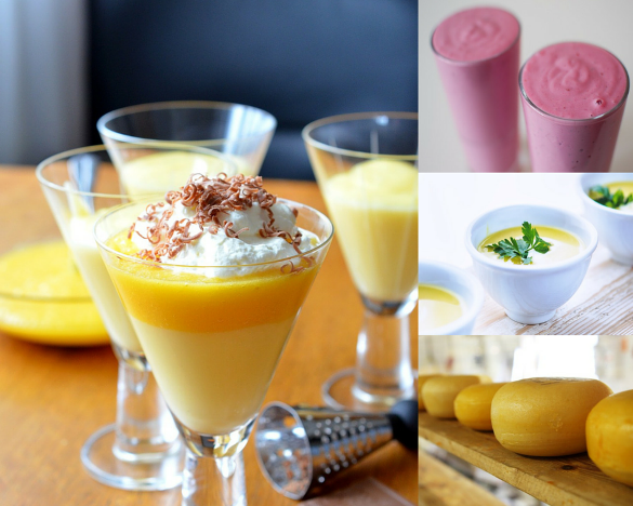 Make your favorite soup today if you are bored with sweet foods like ice cream or milkshakes. Just avoid large chunks of vegetables or meat, but you can have small and bit more soft ones. Chicken noodle and cream of celery are the most popular in this regard. Soup is a rich source of protein, as well as an alternative to the sugar-filled foods typically suggested after wisdom teeth extraction. Avoid hot soup, it can damage your healing process. Flavored puddings are great if you want to have sweat but not always same. You can use the instant packets for faster and easier preparation. Due to long refrigerator shelf life of these foods, you can prepare them and kept in the fridge for over a week. Yogurt is an ideal food for patients recovering from wisdom tooth surgery. But be careful and just avoid yogurts with any added ingredients that have to be chewed. You can also eat flavored yogurt. It will give you the nutrients you need and also easy to eat. A quick snack that is easy to eat and can be flavored with your favorite sugar, syrup, or jams. In this way, you can create many enjoyable flavors. But it is a kind of food that you shouldn’t take right after surgery, as the wisdom teeth sockets may still be healing and the oats may cause irritation. You can take it after three or four days. Instant cream of wheat or grits are also good as they offer a smoother consistency.